The cranberry hootycreeks are ready to go into the oven, the sugar cookie and Dutch spice cookie mixtures are chilling, and we’ve already had our first big spill. 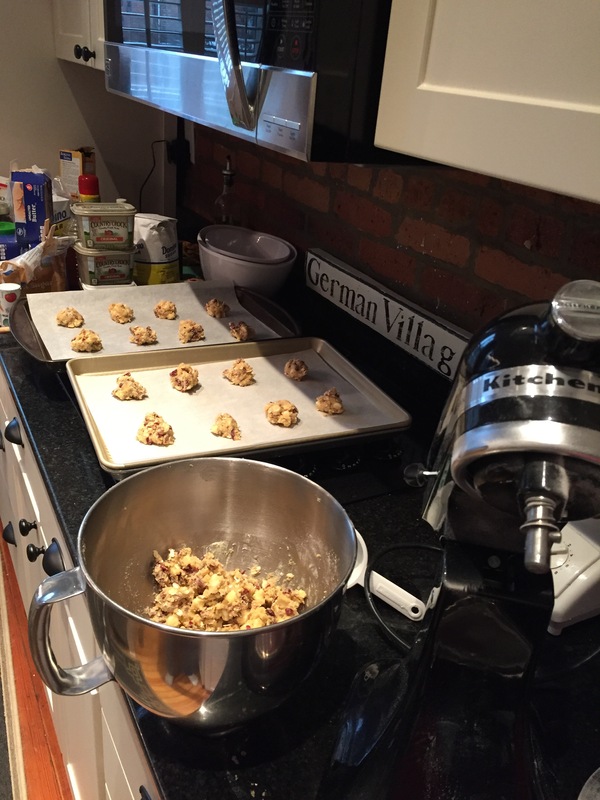 Holiday baking day is here! Winter in the Midwest has a way of teaching patience. Consider freezing rain. When it hits, as it did this morning, there’s not much you can do. 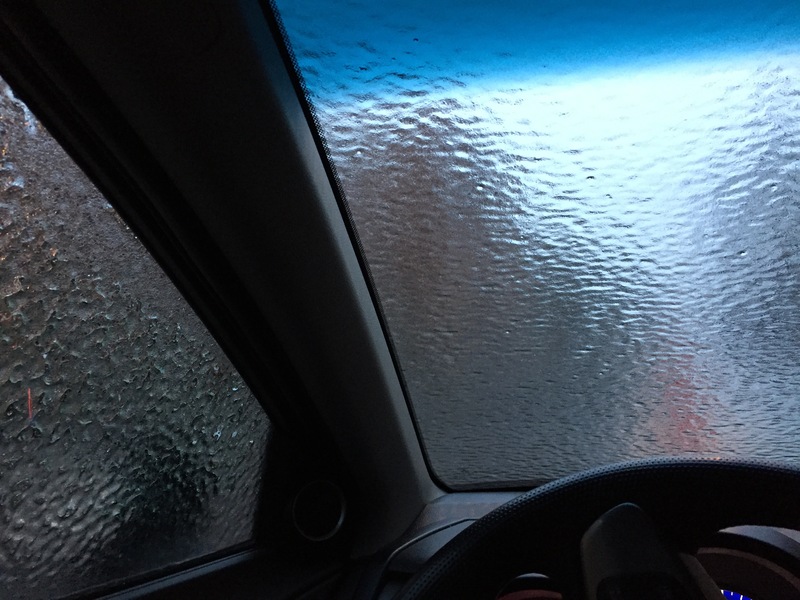 With your car windows and windshield covered in a thick coat of wet ice, you’ve got to wait until the defroster melts part of the ice before you can even start scraping. And you’d better take you time walking, too.